Next year Kazakhstan will chair the Organization for Security and Cooperation in Europe. Kazakhstan joined OSCE in 1992 right after declaration of independence, and afterwards has actively cooperated with the Organization in all spheres during all these years. From the other hand, the future Presidency will be a test for Kazakhstan because of the specific background, as President Nazarbayev noticed. “The background comprises the ongoing world economic crisis, growing tension within international climate, energy and food crisis threat, the problems of mass destruction weapon non-proliferation and uncertainty on many aspects of future architecture of interrelations in the international community. Including the OSCE responsibility area”, - President said then. It’s noteworthy that today OSCE plays a special role in comparison with other European structures. The Organization covers a wide range of issues related to security promotion, including armament control, preventive diplomacy, the measures of trust and security strengthening, post-conflict regulation, economic and ecologic safety, human rights and monitoring of elections. Also OSCE is important due to its ability to contribute the “value added” into the activity of many multilateral forums, existing in Euro-Atlantic and Eurasian regions, as it is almost a single European organization in the sphere of security that practices preventive diplomacy in Europe. The position of Kazakhstan on the issue of the priorities of Presidency in OSCE in 2010 demands for the economic part of OSCE activity to be extended. First of all, it’s the opportunity to direct into Central Asia region resources of the countries of the region, to enrich the instruments of economic influence in Central Asia by the means of diplomatic mechanisms. Another priority was declared by N.A. Nazarbayev personally during OSCE Session on Intercultural, Interreligious, Interethnic Tolerance in Almaty in June 2006. “Traditionally OSCE is considered to be efficient in the sphere related to a so-called human dimension. But it’s not a secret that this humanitarian block is mostly referred to the activity of OSCE in democratization and human rights. At the same time, interconfessional and international harmony is the keystone of overwhelming security, stability, gradual economic and political development of countries. The experience of Kazakhstan is the best proof. This is exactly why Kazakhstan, as an active OSCE member, is liable to contribute into the process of enrichment of experience and practical skills that can be used in the shape of cooperation of all members of the Organization to promote security in terms of ethnic and cultural diversity and multiconfessionalism.”, - declared N.А.Nazarbayev. And indeed, generally the experience of cooperation with OSCE shows that its representatives especially of the European Union point out first of all the compliance of elections procedures, the compliance with European standards in the sphere of human rights, Mass Media independence. At the same time they often don’t consider specific local conditions in post-Soviet area, including in the states of Central Asia and Kazakhstan. Nevertheless, in recent years these countries first of all Kazakhstan has reached significant progress exactly in this sphere and OSCE underlines that. And still, humanitarian dimension prevails within the speeches of the Organization representatives, when referring to Kazakhstan. Dwelling on the problem of human rights in the states of the region, the members of the Organization as a rule estimate objectively the distance in democracy development in the countries of Central Asia and West. However, they could notice that the attributes of post-Soviet period – the Union collapse, economic recession, caused by the break of former economic relations, political disorientation of society, - many of which as factors counteracting economic and social-political development, are still in force and are not always perceived by these representatives as objective circumstances. And this was sounded – the crisis in the Organization itself, caused by the fact that primarily Europe-oriented Organization has a Western approach to all situations. That is why the Presidency of Kazakhstan in OSCE can bring fresh air into the activity of the Organization, as President Nazarbayev specified during his speeches. Already in 2005 during one of his press-conferences the President underlined that the aspiration to OSCE Presidency is not a political ambition of Kazakhstan, but its desire to get closer to developed world. At the same time, the European Union as well as OSCE states are interested in the promotion of cooperation with Kazakhstan as it has become an important energy supplier to Europe, and this is already the energy security issue. President also noted that in such a sphere as struggle against terrorism, drugs traffic, solution of ecologic and some other problems, - the influence of OSCE in our region is even lower than it could be. 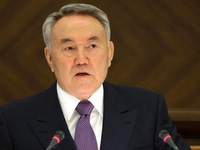 “If we chair, these are the issues I will underline for the Organization”, - said N.A.Nazarbayev. As for the OSCE potential within military-political dimension, which is of the same importance for Central Asia having constant trouble spots more or less influencing the whole region, - then it is obviously great. Two last decades, full of conflicts in newly established states in Eastern Europe and within post-Soviet area, show that the Organization’s potential is enough for effective solution of many problems. Thanks to the efforts of OSCE, the issue on the presence of Russian military troops within Baltic States was peacefully solved in 1992. OSCE incited negotiations as a result of which Russia concluded bilateral agreements with each Baltic State on troops withdrawal, and OSCE acted as a performance bond. Also the end of internal Tajikistani conflict with the assistance of UNO, CIS and OSCE is noteworthy. As an example of OSCE successful activity on prevention and regulation of crisis situation we can also recall Yugoslav Republic of Macedonia the people of which avoided victims and disasters in the armed conflict in the beginning of its independence – mainly it was due to the work of the OSCE Mission in Skopje city. Later in 2001 internal interethnic crisis was also solved with the help of OSCE. OSCE has played and still plays a significant role in the process of compliance with the “General Framework Agreement for Peace in Bosnia and Herzegovina” (“Dayton Agreements”). In 2006 OSCE played a vitally important part in the establishment of the Republic of Montenegro – the 56th member-state of the Organization and the youngest member of the family of European states. We can also point presence of 20 OSCE military observers in Georgian regions bordering South Ossetia. They include a representative of Kazakhstan and contribute significantly into the process of stabilization of the situation in Georgia. Traditionally, OSCE monitors a number of regional problems. So that, since 1992 the institute of the Minsk Group has been working over the complex of problems of Nagorno-Karabakh conflict regulation. 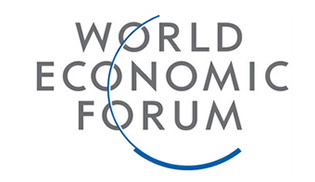 The Group is headed by three co-chairs – France, Russia and the USA. In December of 1992 OSCE Mission in Georgia was established to promote negotiations process on regulation of Georgia – South Ossetia and Georgia – Abkhazia conflicts. The Mission has operated until recently. But still the central role of Georgia-Abkhazia conflict regulation was given to UNO. Since 1994 the negotiations process on Transdniestria conflict solution has included five-sided negotiation mechanism with Russia, Ukraine, the EU, the USA and OSCE Mission in Moldova. This mechanism assured the signing of 40 documents between parties to conflict. In 1998 OSCE founded its Mission in Kosovo the tasks of which included assistance in accomplishment of the UNO Security Council resolutions №1160 and 1199. Today there is no real alternative that is able to substitute OSCE that is why for Kazakhstan the Presidency in the Organization is a unique chance to change vectors of its activity considering interests of Central Asia states as well as the Organization. The special status of OSCE is in the following: on the one side its decision has a political but not a legal value, which makes the Organization flexible to some extent. On the other side, OSCE possesses the characteristics of an international organization: standing bodies, permanent Headquarters and Institutions, permanent staff, standing financial sources and extended map of locations. Most instruments, decisions and liabilities of OSCE are not legally accomplished; however their fulfillment demands standard methods of the Law of Treaties. So that neither Final Act of 1975, nor documents of the following meetings and session of CSCE/OSCE are legal international treaties obligatory for states. However, the fact that liabilities of OSCE are invalid doesn’t lessen their efficiency. Being adopted at the highest political level, they are the same significant as international treaties in the framework of international law.